One of the most important requirements to come up with high quality or better recording is to record at the highest audio resolution as possible. Industry recording standard starts at recording audio in 24 bit depth. The recording sampling rate varies starting with 44.1 KHz for some home based recording and for professional studios done at 96 KHz. 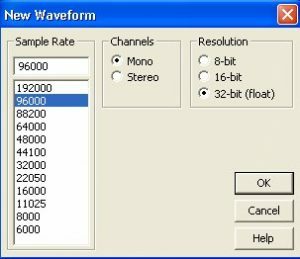 Therefore, if your sound card is capable of recording at this given bit depth and sampling rates, the most recommended resolution could be 24-bit and 96 KHz audio resolution. 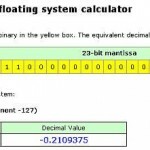 Most home based recording studios using either a Windows or Linux based computers are using 24 bit, 44.1 KHz because of the limitation in hard drive space. The higher the bit depth and sampling rate, the larger will be resulting audio file size. If hard drive space is not a limitation or an issue in your home based recording systems, then you can record at 24-bit and 96 KHz sampling rate. In Adobe audition, a 24 bit depth is equivalent to a 32-bit float resolution. 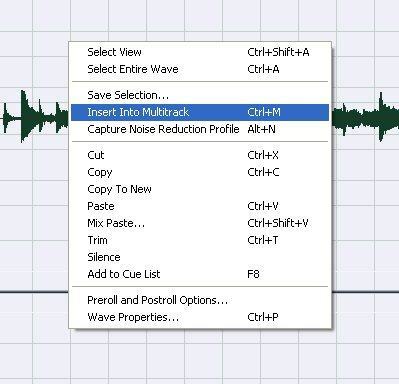 For older versions of Adobe audition such as version 1.5, you will not be able to select a sampling rate when recording using multi-track view. 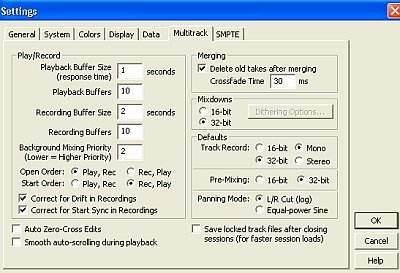 Instead, you can only select the recording bit depth in: Options == Settings == Multi-track, and under “Track record” you will set it to 32 bit. 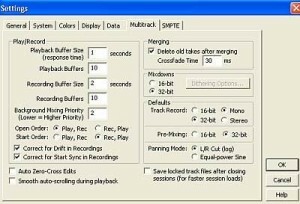 I also recommend to try my multitrack settings if you are using fairly old soundcards (such as PCI), it is discussed in a separate section below. The best way to start a session is to go then File –> New session. You can select the appropriate session rate. Another alternative will be discussed in this tutorial. You either select stereo or mono recording mode. 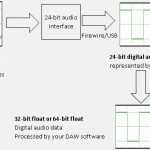 So how you are going to create a 24-bit/96Khz audio resolution in Adobe audition? 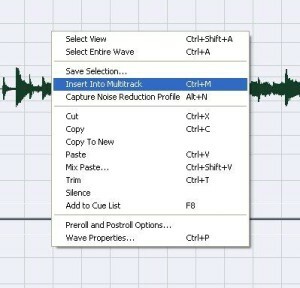 The best way is to start recording in the Edit view and then importing audio to Multi-track view. The following are the detailed steps. 2.) Go to Edit View. As mentioned earlier, you can get 24 bit quality from 32-bit audio resolution in Adobe Audition. Finally hit “OK” to get your recording ready. 4.) If all of your musical instruments are ready, then hit the recording button in Edit View to commence the recording. You can confirm if it is really a 24-bit/96Khz resolution by going to View == Wave properties. And look under “File type”.